“With these factors in mind I did not take this decision lightly. My decision to approve the proposal is guided by Federal law. 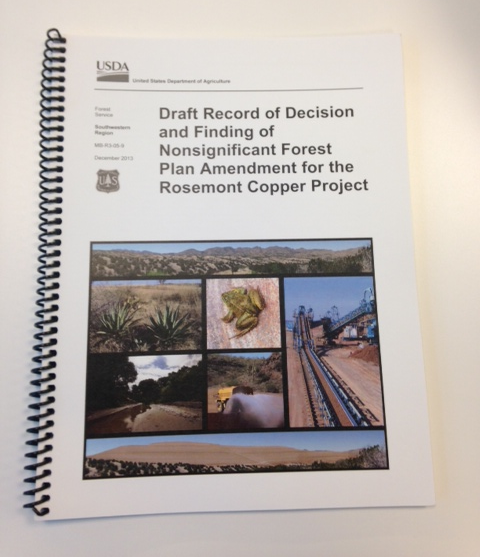 Rod Pace with Rosemont said that "All that remains is the final permit, the 404 permit from the US Army Corps of Engineers, and the final adjustments to the Rosemont Mine Plan of Operations to comply with the conditions included in the Final Record of Decision for the 404 permit and for the Forest Service."